Helford River Cottage, known as Christmas Cottage (sleeps 4 and a cot), is set in the heart of the beautiful and exclusive village of Helford nestled on the Lizard Peninsula in Cornwall. Helford Village is regarded by many as one of the most sought after locations in Cornwall. It's architectural and geographical beauty coupled with its sheer tranquillity make this an ideal holiday destination. For sailing & walking enthusiasts the area offers excellent facilities and opportunities for exploring the many beautifully wooded creeks including notably Frenchman's Creek as immortalised by Daphne du Maurier in her novel of the same. 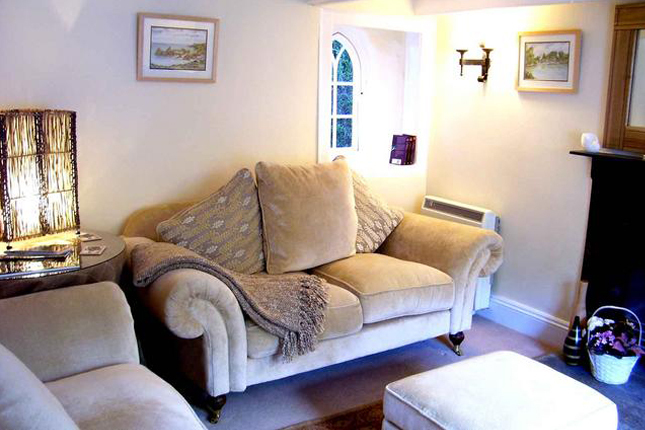 Perfect for luxury self catering on the Helford River. Sorry, we have a strict no pets and no smoking in our cottages policy. This pretty, two bed roomed former fisherman's cottage boasts front and rear gardens and private parking for two cars (or one family sized saloon car and an equally sized boat trailer) directly in front of the house. Boats can be launched at high tide from the slip way, seconds from the house. There are many beaches all around the Lizard Peninsula, typically 6-8 miles from Helford Village. Closer river creek beaches can be found at Gillan and St. Anthony. The cottage sleeps 4 and a cot. All guests receive a complimentary welcome pack including tea, coffee, milk and essential holiday items such as Cornish clotted cream, strawberry jam and scones! 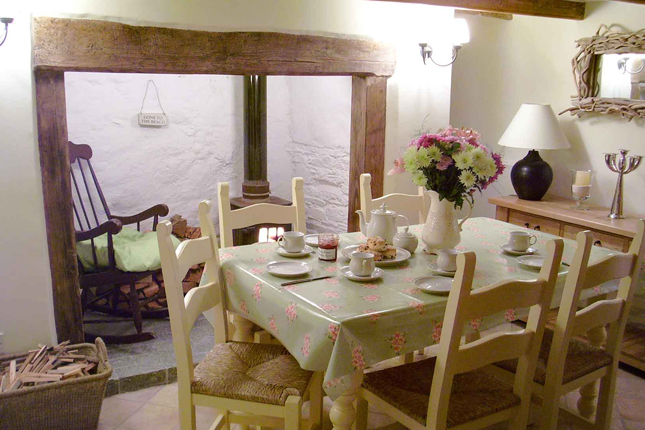 Christmas Cottage retains many of its original features including beamed ceilings, walk-in inglenook fireplace and an open fire in the lounge. These features have been sympathetically enhanced during the renovation. We have had all original internal doors dipped, and beams stripped and waxed. We are in the process of re-installing a traditional carved Cornish porch on the front and have taken off the existing render on the front and have replaced it with a traditional lime finish (in keeping with the other cottages in the picture). An original ship beam, likely to have been from either a wreck or local salvage yard and etched with roman numerals (workers measurements) that we discovered in the loft has been featured in bedroom 2, along with a brass porthole. The kitchen features cream shaker style units, a Belfast porcelain sink and real granite worktops. The utility room to the rear of the cottage features sky-light windows and a slate tiled roof. The internal wall is exposed to reveal it's original cob and stone construction. All appliances have been purchased new including hob & oven, fridge freezer, dishwasher and washing machine/tumble dryer. The dining room features a cream farmhouse table with six traditional rush chairs. The low casement window has a built-in cushioned window seat with village views. All beams (both ceiling and inglenook) in the dining room have been stripped back and waxed. Colour schemes of this room are cream and apple green. Again, previously covered walls have been exposed to reveal their original cob and stone build. The master bedroom features a king-size antique style brass bed with side tables and bedside lamps.Good storage takes the form of a wardrobe and chest of drawers. Village views can be seen from the sashed window which features full length curtains and a pelmet. The colour scheme is white with some lemon and greens. The second bedroom again has pretty Helford Village views and the sash window has a built in cushioned window seat. It contains two single antique style white wrought iron beds. Good storage takes the form of a built wardrobe and chest of drawers. This room has a nautical / New England theme. The Lounge features an integral wide-screen TV with video and DVD. Two, two seater sofas are centred round a rug and the open traditional Pewter fireplace. A side table with lamp gives warm lighting effect in the evening, in addition to the two wall mounted lights either side of the fireplace. The sash window has a cushioned window seat. The colour scheme in this room is beige, golds and muted reds. The accommodation has a combined toilet and bathroom upstairs that features a traditional role top/claw foot bath with a chrome mixer shower head on a cradle. The bathroom is traditional with a stylish contemporary twist. Natural jute blinds compliment the natural textures of the floor and wall limestone tiles. To the rear of the cottage, steps lead up to a delightful woodland south-facing garden which overlooks Helford Village and Creek. A barbecue, picnic table and sun lounger chairs are also provided. The garden to the front of the cottage has a paved sitting out area that leads down to a lawn quay adjacent to a very shallow stream. The view from here is that of Helford Creek and the famous Helford footbridge. The pub and shop are about 500 yards away. Boats can be hired for use on the Helford River. Helford River Cottage has a private parking area for two cars (or one family sized saloon car and an equally sized boat trailer) directly in front of the house. This is quiet something for Helford! Boats can be launched at high tide from the slip way, seconds from the house. Our cottage is available for holiday rental, with short breaks during the winter and out of season months are available upon request. The customer feedback below is taken from the Visitor Book left in this cottage, and is shown exactly as it appears.